Get Your Groove on in Style with the Best Clothes for Zumba Fitness Classes! There are a few good reasons to choose your clothes for Zumba Fitness classes with care: you want to be safe and supported, you want to feel cool and comfortable, and you want to look snazzy and stylish. Unlike other fitness modalities, part of the fun of Zumba is the clothes! I teach six or more hour-long Zumba classes per week, so as you might imagine, I have done my fair share of experimentation with what works and what doesn’t when it comes to Zumba Fitness clothes. I love Zumba Fitness branded clothing because it’s fun, colorful, and high-quality. I usually wear a combination of “official” Zumbawear and other workout clothes that I like. Some folks choose head-to-toe Zumbawear, while others opt for more standard workout clothes such as leggings, sweats, tees, and tanks. In this article, I’ll go over my favorite clothes for Zumba Fitness classes, including both Zumba and non-Zumba choices. Shoes, pants, bras and undies, tops, outerwear, and accessories…we’ll get you dressed from head to toe in the best clothes for Zumba Fitness classes. Read on to discover what you should be wearing to class and why you should be wearing it! Your number one concern when investing money into gear for Zumba Fitness classes (or any fitness pursuit) needs to be proper footwear. You’ll want shoes that support your arch and your ankles, since Zumba routines ask that you jump, as well as hop, twist, slide, and step forward and back as well as side to side. 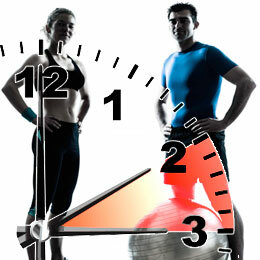 Your footwear choice needs to support all those different kinds of movements. Running shoes are not the best choice, since the heel is designed to help you with forward movements only. I used to tweak my knees wearing running shoes to Zumba classes and I regret the time I spent doing so knowing now that there are so many better choices. Cross-trainers with a lower heel profile are a better choice, since they are meant for side to side movements as well as forward and back, but cross-trainers are still not the best choice since they have excessive tread that impede your foot movements. I used to wear split-sole jazz sneakers from my days of doing other types of dance. They are good choice, definitely safer and better for dancing than running shoes, but I was never thrilled with the lack of arch support or the platform-ish sole. I recently switched to Zumba’s Z-Kickz, and I couldn’t be happier! 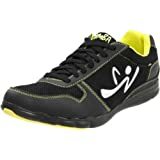 I wear them while teaching 6+ hours of Zumba classes per week and I am very pleased with the no-tread sole, which offers just the right amount of traction; the arch and ankle support, which is similar to a trainer; and the lightweight, flexible, yet durable material. They’re also much cuter than jazz sneakers! If you plan to do a lot of Zumba, Z-Kickz are a great investment, and I promise I am receiving zero compensation from Zumba Fitness for saying so. 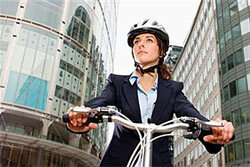 Dress your upper body in layers for Zumba Fitness classes. Even if the studio is chilly when you first walk in, I guarantee you’ll be sweating after the first couple routines. I usually wear a hoodie over my shirt that I inevitably shed after the warm-up. Since you won’t likely wear the hoodie for the whole workout, cotton or synthetic is fine. Zumba makes bright, fashionable Zumba outerwear for layering; you can choose from long-sleeves, hoodies, track jackets, wraps, and vests. I like to wear a tank top or racerback instead of a t-shirt for Zumba classes. If you’re moving with intensity, you’ll be a sweaty beast by the end of class, so you are going to be thankful for any cool breeze that makes it to your skin! Cotton is OK, but a moisture-wicking synthetic fabric is even better. The tanks and racerbacks by Zumba Fitness are cute, flattering, and colorful, so I wear them all the time. The downside is that most of them are cotton, which means they tend to trap moisture. I usually wear a synthetic-material sports bra under my tank so I can strip down if things get too swampy. Speaking of sports bras…let’s talk about undergarments for Zumba Fitness classes. You’ll want a sports bra with good coverage if you want to shed your top during class, which is the norm in many Zumba Fitness classes. Cotton bras and undies have the same moisture-trapping properties as the cotton tops I mentioned above, so I like to go with synthetic fabrics that dry as you go. Feel free to go commando under your workout pants if that’s more comfortable, since no one will ever know but you! Pants are another major consideration when Zumba Fitness clothing. Again, you’ll want a breathable, moisture-wicking fabric. I prefer crop leggings made from synthetic fabric; cotton pants trap so much moisture that I feel like peed my pants after an intense Zumba session! 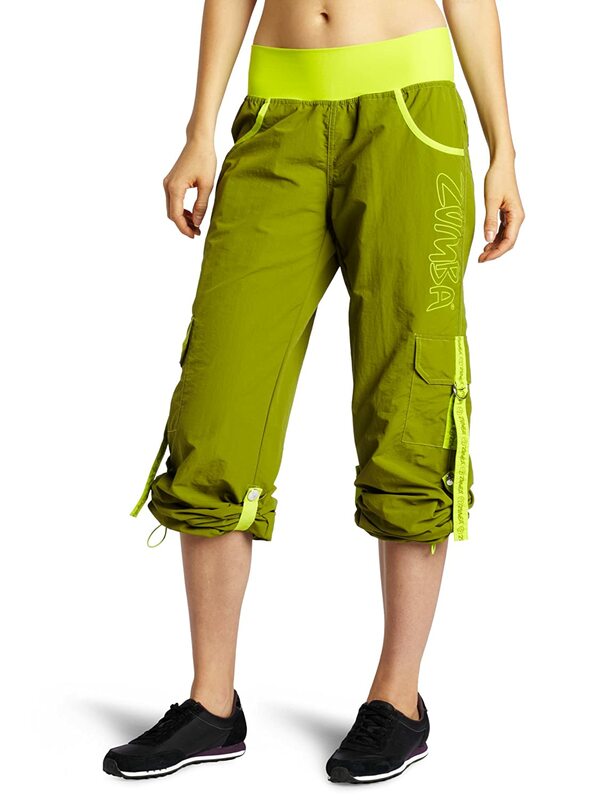 Zumba Fitness also offers flashy and fun cargo pants if you want to treat yourself. Some styles have lightweight tassels on the back and side pockets that whip around when you shake it, which makes dancing even more fun. They’re like a barometer for your booty-shaking…I know that if my tassels are really whipping around, I’m doin’ it right! As with any workout class, you need to bring a few pieces of essential gear to Zumba Fitness classes: a water bottle, a towel, and a gym bag to stash your stuff in. You can always go with basics versions of these items, but as you might imagine, Zumba Fitness makes super-cute Zumba accessories you can use instead! Other fun Zumba accessories include the fun and funky rubber Zumba bracelets us true Zumba freaks sport proudly both in and out of class. I like to give my students bracelets as “prizes” because they are so fun to wear, adding a little pop of color to your outfit. If your Zumba Fitness class takes place in a carpeted room, you can put Zumba Carpet Gliders over the front of your shoes so you won’t hurt your knees and ankles doing twisting and sliding moves. There are a few legit avenues to find clothes for Zumba Fitness classes. 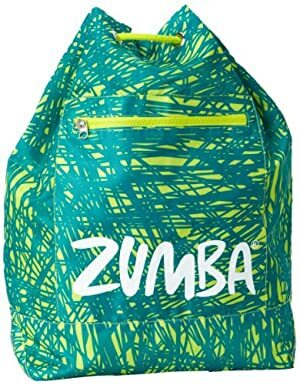 If you’re looking for “official” Zumba Fitness gear, you can buy directly from Zumba.com, or you can order from Zumba Fitness through Amazon.com. Many instructors are willing and able to sell Zumba wear to their students as well. Sometimes a class can put together a group order to save on shipping costs. Avoid purchasing knock-off Zumbawear from non-legit sources, as it tends to be of shoddy quality, and you don’t want to be supporting a business that’s practicing copyright infringement. If you’re looking for good sources of non-Zumba workout clothes, Under Armour has great moisture-wicking properties, which as you now know, is one of my top priorities. My favorite brand of non-Zumba dance shoes is definitely Capezio. If you choose non-Zumba shoes, go for sneaker-style dance shoes, not ballet- or jazz-style; the latter just don’t provide enough support. Everyone finds their own groove with clothes for Zumba Fitness classes. Experiment with different styles to find what works best for you!